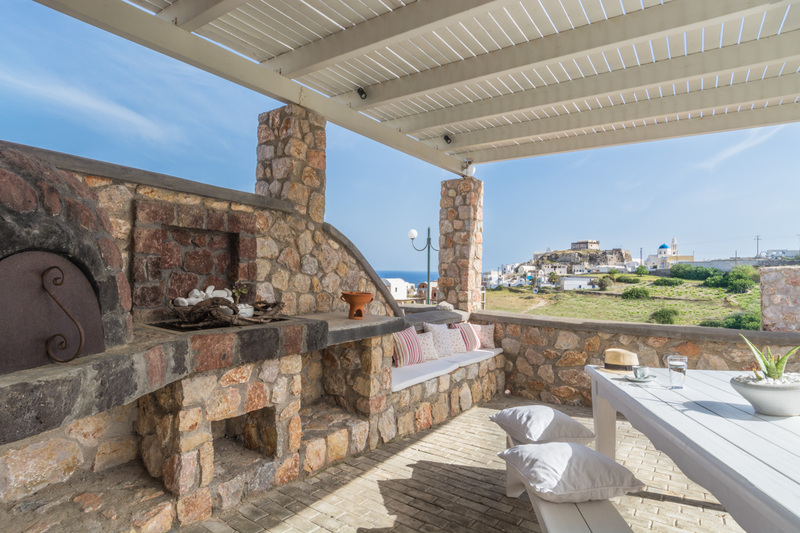 The house is located on a rather quiet spot yet with spectacular view. On the entrance of Akrotiri one have to turn right to the caldera view street that leads to Faros - the lighthouse of Santorini. 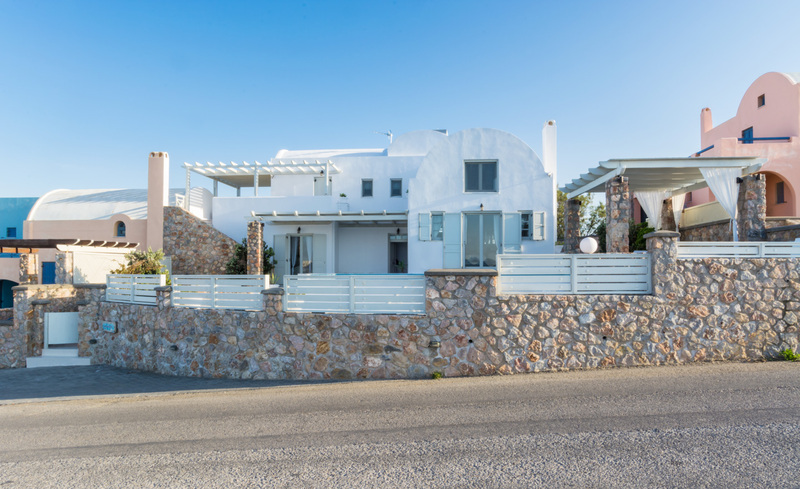 The residence is 200m away from the junction and just on the outsource of Akrotiri village where one may walk to. 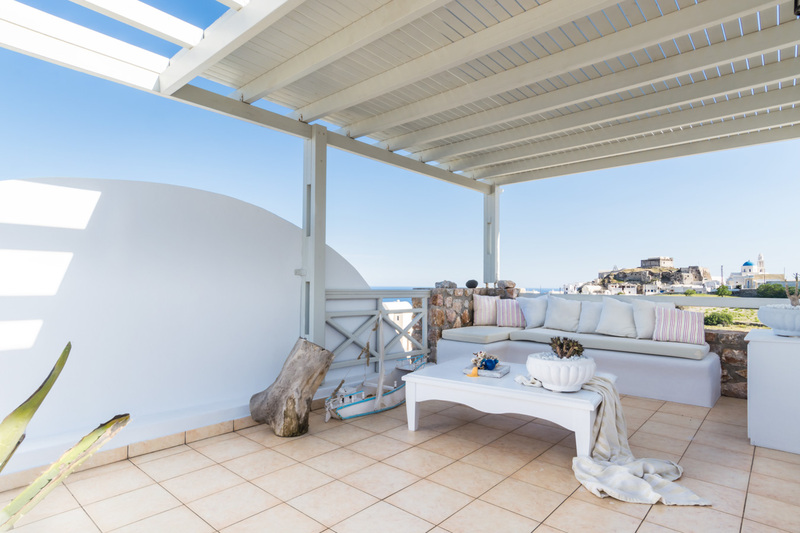 The residence is just 20 minutes drive from the airport or the port and 15 minutes drive from the capital of Santorini, Fira. Within 15 minutes one may arrive at the nearest most popular beaches of the island, Perivolos beach and Perissa beach. Kamari Beach is 20 minutes drive from the residence. In Kamari and Perivolos you can find water sports, cafe, restaurants and beach bars. A 10 minute walk or a 4 minutes drive from the house on a steep road will lead you to a quiet beach with a diving center that has amazing views of the volcano and the cliff.